*This post is pre-scheduled, as I’m on holiday until 19th of July! Hello Lovelies! Today I have another OOTD for you, featuring this gorgeous midi dress which I recently showed in my haul! 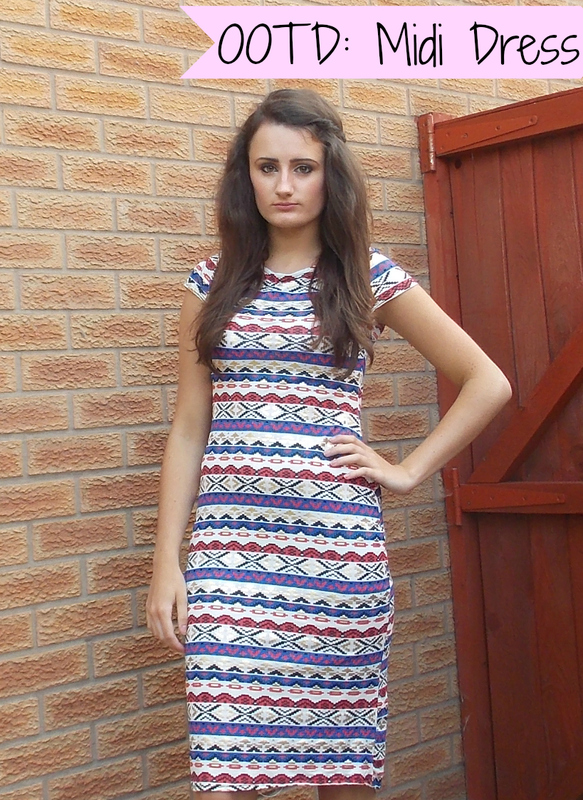 It has a bold Aztec print which stands out a lot! Until recently I wasn’t sure whether a midi dresses suit me because maxi dresses and skirts definitely don’t as they make me look a lot smaller than what I am already! As some of you know I picked this dress up from a local boutique, I fell in love with the print and had to get it. Originally I thought about getting it taken up however I’m glad I didn’t, I love it the way it is! Over the dress I wore a light denim jacket, although I don’t have a picture it looked really nice and it’s perfect for summer nights, or colder summer days! As for shoes I wore plain white flatforms from tReds. Would you wear a midi dress?